Your opponent's pokemon is now confused. Flip a coin. 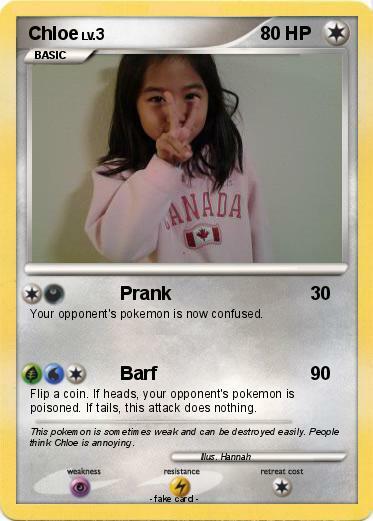 If heads, your opponent's pokemon is poisoned. If tails, this attack does nothing. Comments : This pokemon is sometimes weak and can be destroyed easily. People think Chloe is annoying.